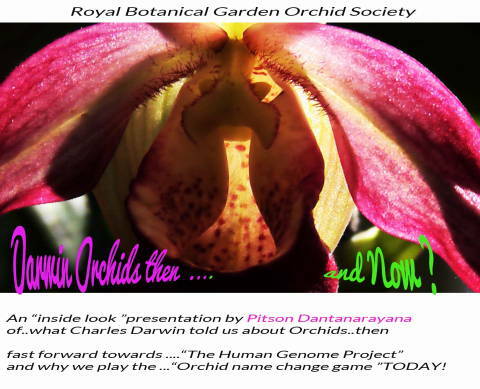 The speaker for our August meeting is a long-time member of the Society, Pitson Dantanarayna , who will be discussing an issue that always raises questions and controversy: Orchid taxonomy and why “they” keep changing the names of our orchids. The meeting takes place as usual in Room 5, Royal Botanical Gardens, 680 Plains Road W., Burlington, Ontario. The formal part of the meeting starts at 2 pm, but you are invited to arrive any time after 1 pm to socialize and interact with vendors. Members and guests are welcome.